Good afternoon! For those who will be in or around the local area this weekend, the Valley of Steel blog is proud to present you with: What To Do In Pittsburgh This Weekend! Here’s the latest info on Ohio’s Warriors of Metal Festival, which is being held on the 29th-30th of June this year (which is, coincidentally, the same weekend as the birthday of a certain metal blog writer/editor!) in Pataskala, Ohio (just east of Columbus). Tickets are on sale now at this location; $50 for both days or $30 for either Friday or Saturday ($40 for both or $25 each if you buy your tickets in a four-pack, and youth tickets are also discounted). This open-air festival is now in its fifth year, and this year’s headliners include two legends of American heavy metal: Wichita’s Manilla Road and Helstar from Houston, Texas! Plus, there will be a pre-show in Columbus on Thursday night, the details of which have not yet been announced can be found here. 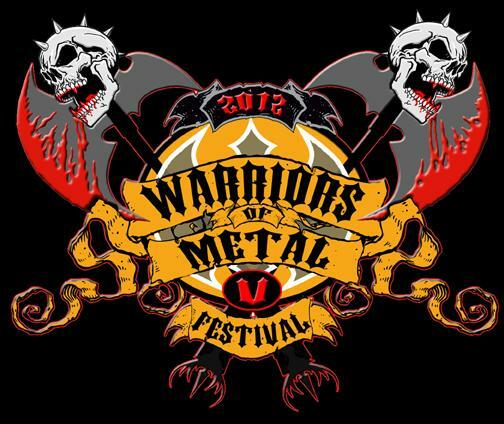 UPDATE, 15 MAY 2012: I’ve just learned that the 2012 Promo Video for Warriors Of Metal Fest V Open Air has been released. The video was produced by the vocalist & guitarist of the Brazilian Thrash Metal band Machinage.